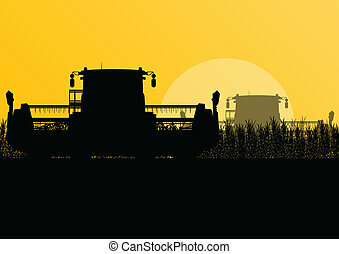 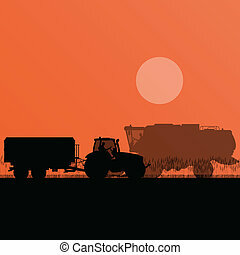 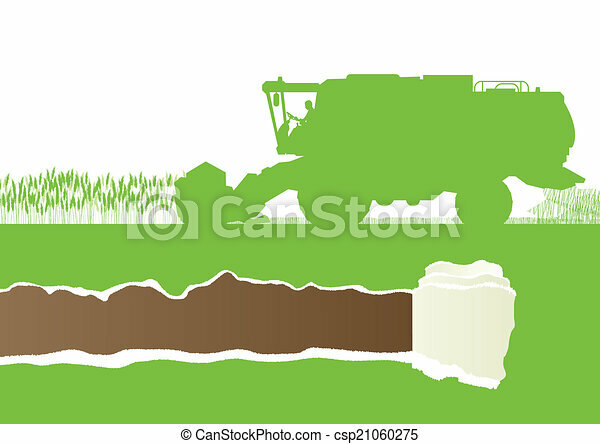 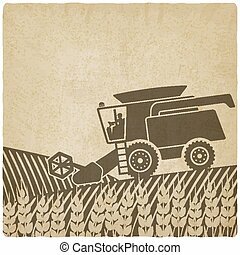 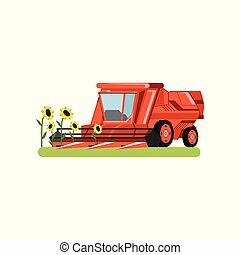 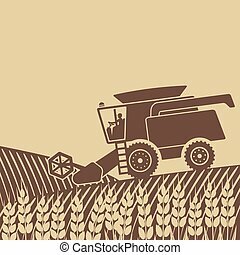 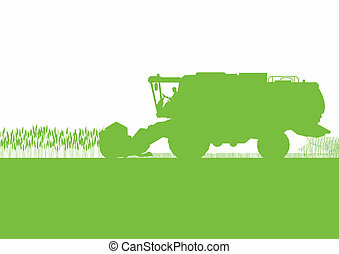 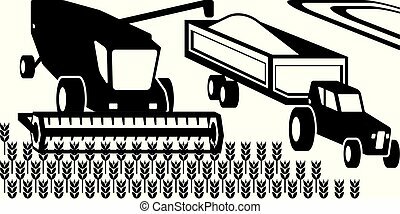 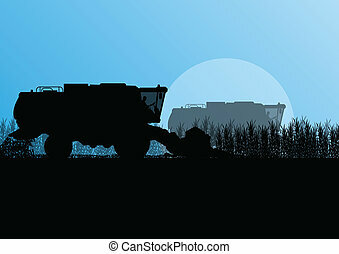 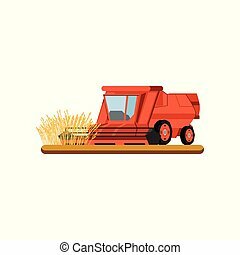 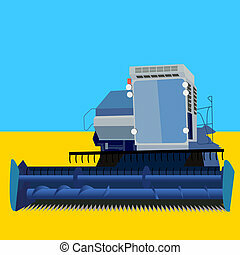 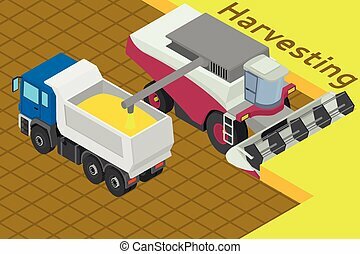 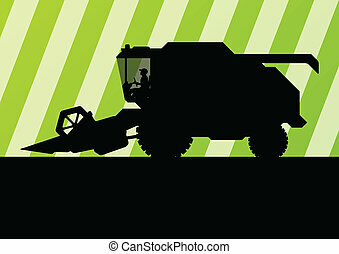 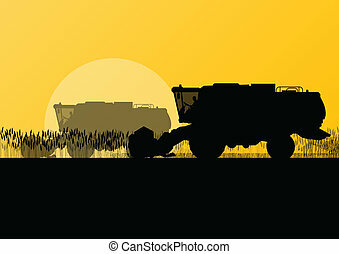 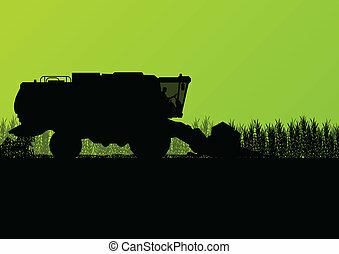 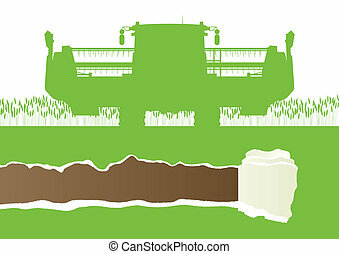 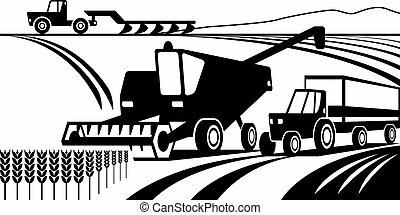 Agricultural combine harvester in grain field seasonal farming landscape scene illustration background vector ecology concept with ripped paper copy space. 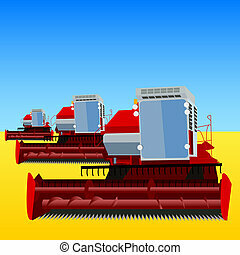 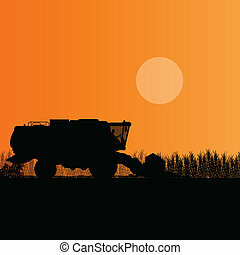 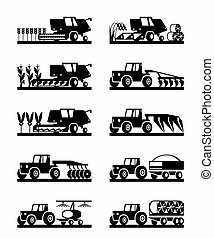 Agricultural machinery for harvesting. 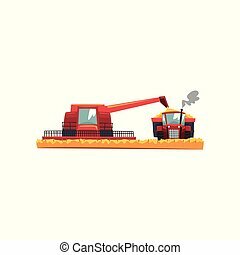 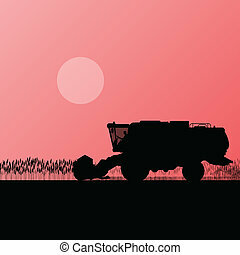 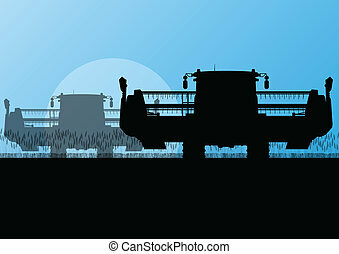 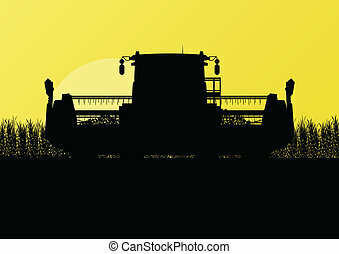 Combine harvester in wheat field. 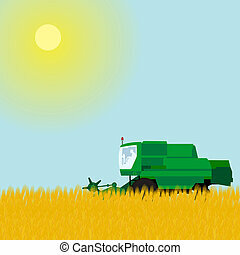 Combine harvester collect wheat in the field. 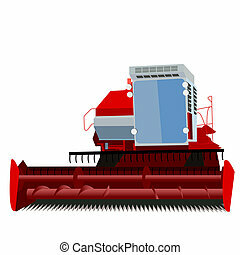 Equipment for agriculture. 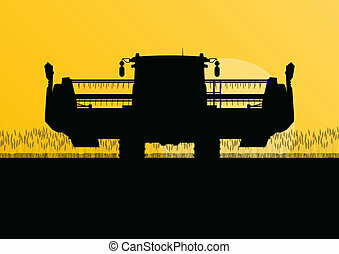 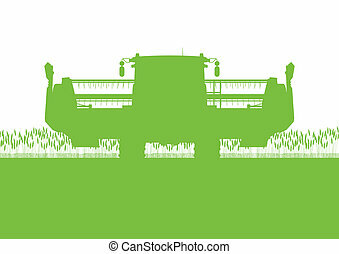 Loads in the truck - Isometricc illustration.